The company was founded in 2012 by scientists at the Technical University of Munich and develops innovative solutions for the real-time localization, transmission and evaluation of data. The company is divided into the two core sectors Sports & Media and Industries. 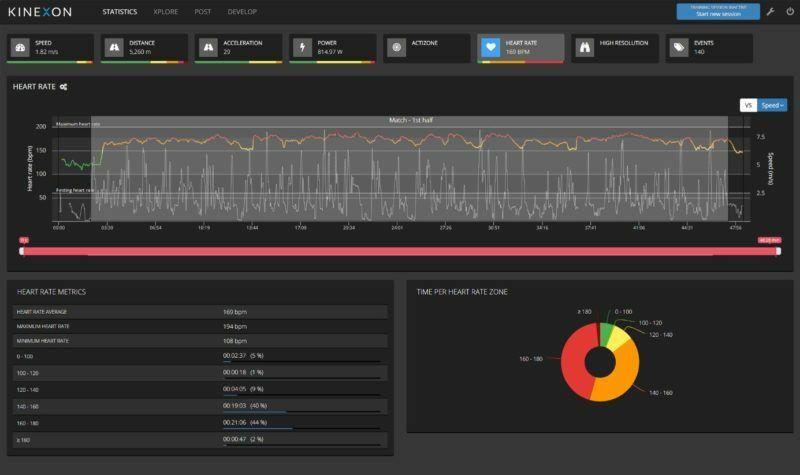 The Sports & Media division develops solutions for highly accurate performance analysis in sports. The system consists of two core elements: a radio-based sensor technology and analysis software for the intelligent evaluation and visualization of the data. As a full-stack company, KINEXON offers its customers the perfect combination of hardware, firmware, software and service. The sensor network technology also includes an analytical platform to turn the resulting amount of large data into valuable insights. The company has received numerous awards for its products and services, including awards from the European Space Agency, the European Commission and the State of Bavaria. It is headquartered in Munich and has an office in New York City. Over 23,000 athletes representing over 1,000 teams around the world – from the Premier League’s Manchester City and Arsenal to Hertha BSC of the Bundesliga, as well as NBA, NFL, and Rugby Premiership teams and NCAA Division I schools – rely on Firstbeat Sports for their advanced physiological metrics.